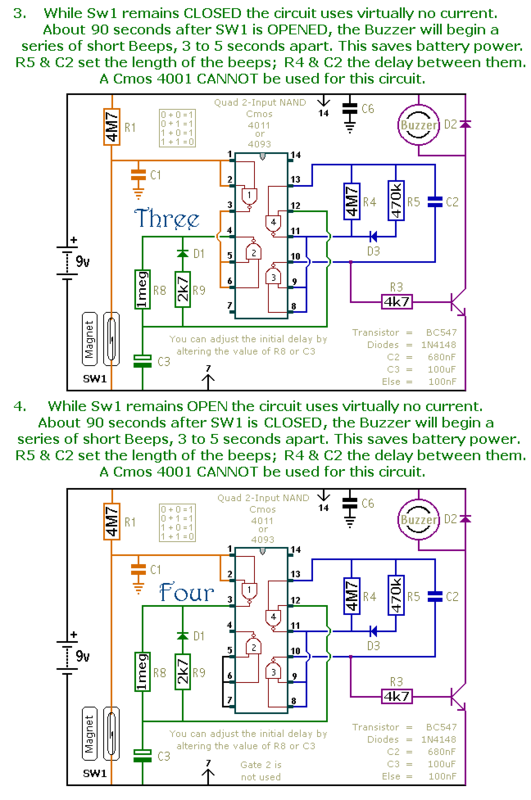 This is a selection of small self-contained alarm circuits. They have a very low standby current; and are suitable for battery operation. 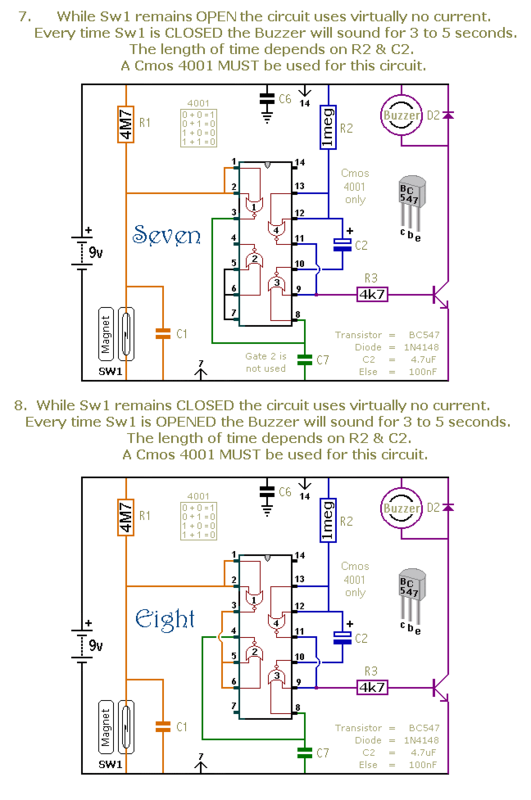 Sw1 is drawn as either a micro-switch or a magnetic-reed contact; but so long as it does the job you can use whatever type of switch you like. Use more than one switch if it suits your application. The output device is a "piezo" buzzer, requiring a current of about 10mA. 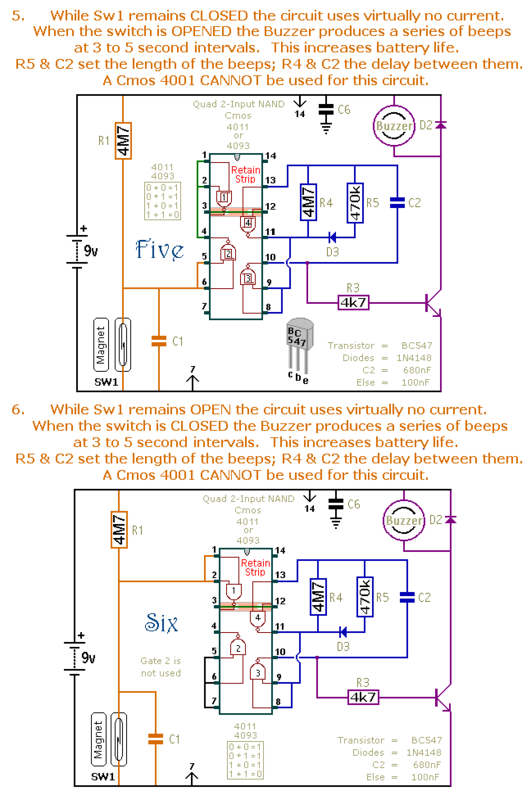 Provided the buzzer's voltage is suitable, the circuits will work from 5 to 15-volts. The main features of each alarm are described on the circuit diagram itself. Each pair of circuits will print out on an A4 sheet. The Cmos 4093 is the Schmidt-trigger version of the Cmos 4011. For present purposes the two are interchangeable. However, the 4093 has an improved switching performance that is most noticeable if the time periods are substantially extended. The precise length of any time period will depend on the characteristics of the actual components used; especially the tolerance of the capacitors and the exact switching points of the Cmos Gates. 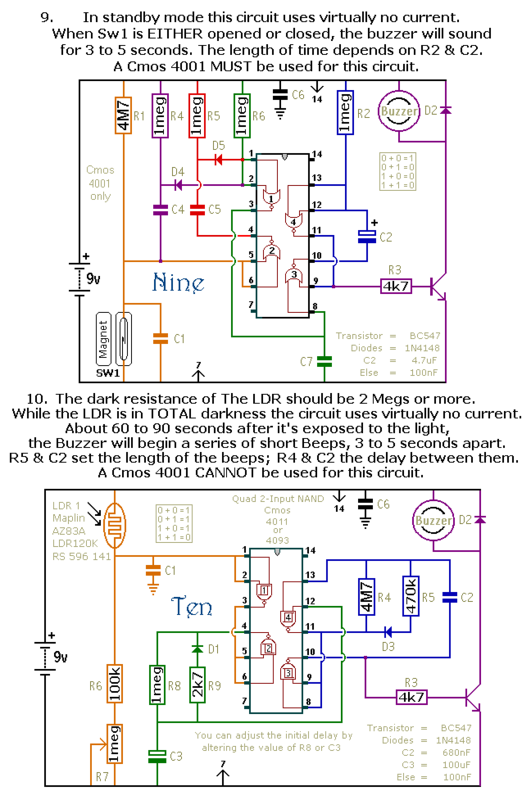 In the case of circuits 11 & 12, treat the values of R6 & R7 as a rough guide. 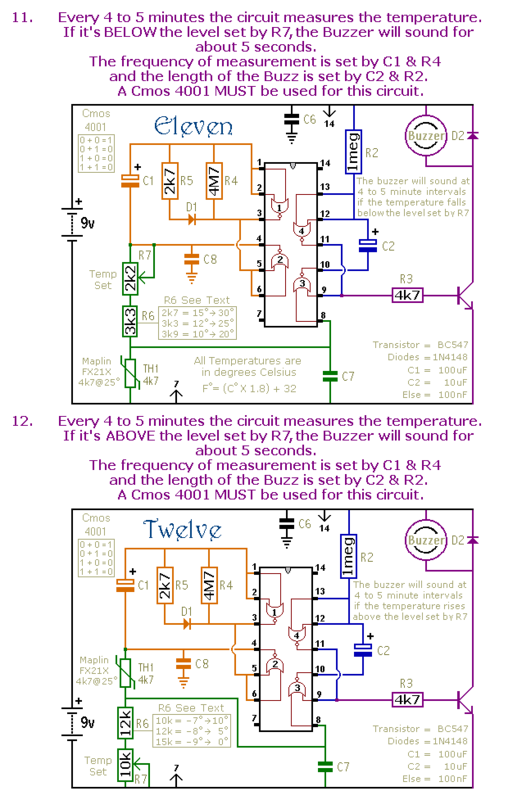 The switching point of Gate 3 and the characteristics of the thermistor will determine the actual temperature range available. Changing the value of R6 will allow you to access different areas of the temperature scale; while changing the value of R7 will allow you to alter the width of adjustment available. Although they are described as alarm circuits, they will have other applications. 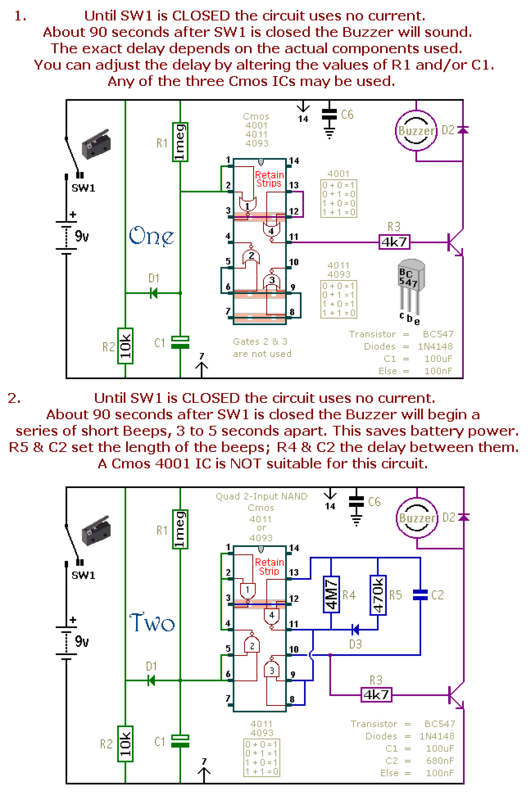 The buzzer may be replaced by a small relay or an optical isolator; and the timing components may be changed to produce the required output performance. Any relay should have a coil resistance of at least 270 ohms; but for battery operation, the higher the better. If you're using an optical isolator, connect a 1k resistor in series with its LED.